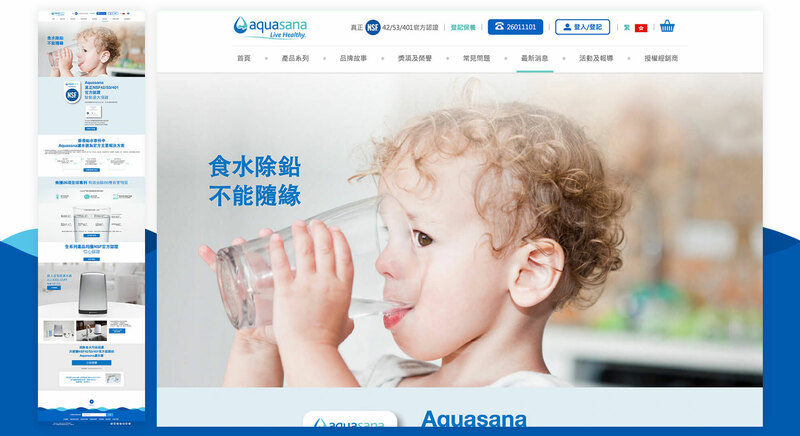 Aquasana was found in 1997, founder Charles Strand discovered that his infant son’s respiratory ailments could be traced to chlorine in the household water. 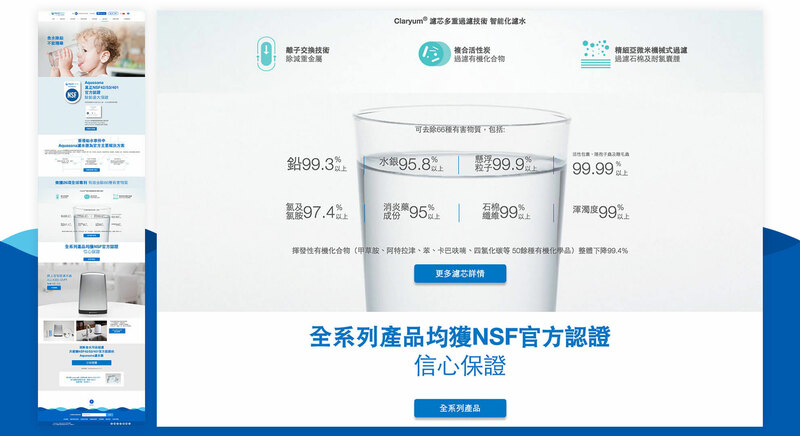 To help ease his son’s condition and in the pursuit of better scientific understanding, Strand started research into chlorine and eventually found the most effective filtration method – a humble charcoal filter mechanism. Strand then began his mission of sharing the fruit of his research with other families who experience the same sensitivity to water-borne contaminants as his son did, and furthering his research into water filtration. 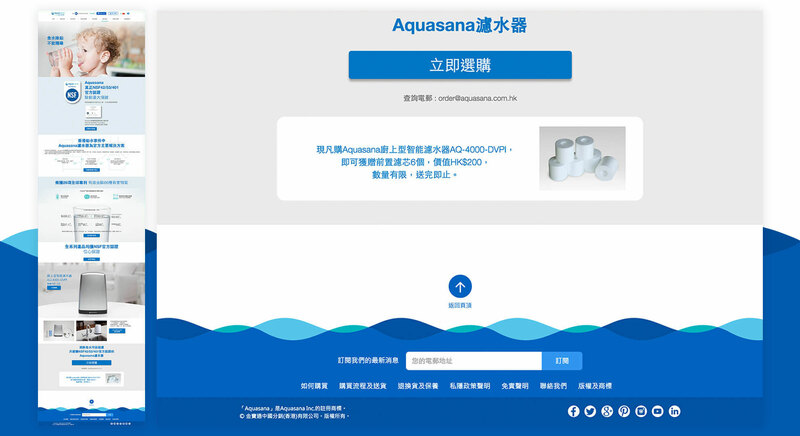 Sandwich Creative worked along with one of Hong Kong creative agency - High5, to create this corporate web site for Aquasana.